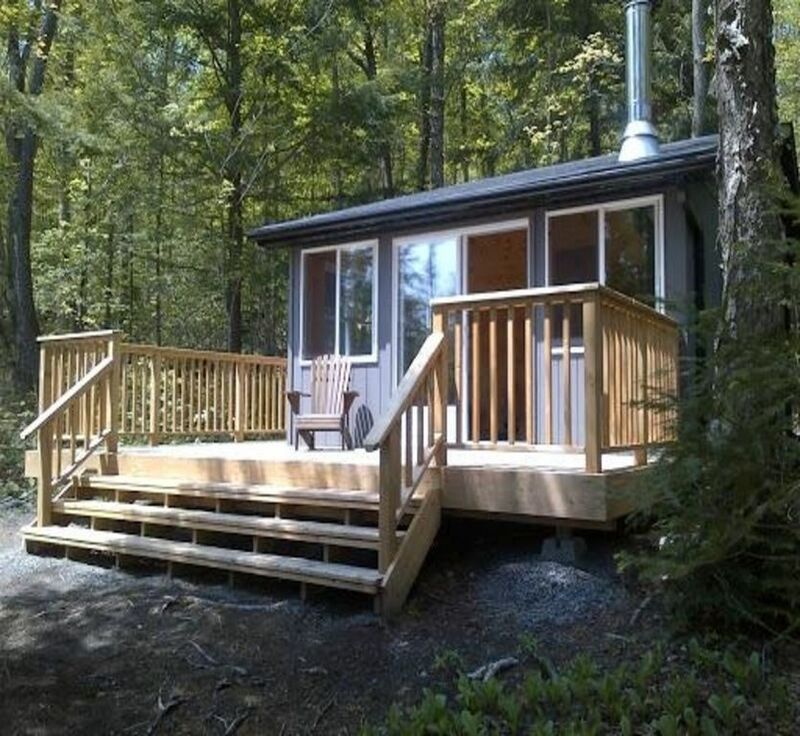 Verhaven Cottage is a small, water access, solar powered cottage located near Kearney, Ontario. Our cottage is on a quiet lake, and is ideal for families with children of all ages, as well as seniors, as there is a short small slope down to the water. As cottage is water access, any guests that do not have a boat can be dropped off at the cottage by hosts. For guests with a boat, we will still meet guests at the landing and show you the way for your comfort level with navigation of the lake.Verhaven Cottage is a small cottage, but can sleep up to 6 people. The cottage is recently renovated. The cottage runs on solar power, and is equipped with electric lights, and fridge, and a propane stove. The cottage has a 3 piece bathroom complete with shower and composting toilet. There is a pull out couch in the main area, and a TV and DVD player available for rainy days. There is a large deck on the cottage and a large dock on the water for relaxing while you watch the kids swim. Host provides linens and toiletries, and kids and adult sized kayaks are available for use. Also available is a water trampoline. Guests will need to provide their own food, but the kitchen is well equipped for cooking meals and there is a barbecue on the deck. Verhaven Cottage is an ideal getaway for those who want to immerse themselves in a rustic yet comfortable cottaging experience. Jason and Liz Verheye are the owners of Verhaven Cottage. We love cottaging and getting away from it all! We love the shallow entry to the water and the short distance from the cottage to the water. We love the privacy and yet there is everything you will need to enjoy an awesome cottage experience. Quiet lake, up to date modern style cottage! A good place to disconnect from the wired world and reconnect with family. Modern style, sandy waters, clean, cozy cottage and the occasional call of the loons, how much more Canadian can you get? Thanks for renting your cottage Liz and Jason! We loved the experience. So clean and tidy, everything we needed was there. The hosts were so attentive and easy to communicate with as well! We had a 7 month old baby with us and it was great for him as well. Overall, a wonderful experience!